First off a disclaimer: Not only is the Alfresco Desktop Sync a preview release at present, there isn’t an official Linux version available, so all this is very, very unsupported!!! To get the Alfresco Desktop Sync working in Linux you basically need to get the java code extracted from one of the other clients and install the Linux version of jnotify-lib. That all sounds simple, and it isn’t as complex as you may expect. 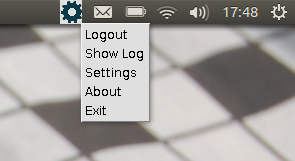 On my Ubuntu 12.10 installation this created an icon on the panel and downloaded the files from my Alfresco installation (once configured of course). For reference I’ve worked with jnotify-lib-0.94.zip and DesktopSync_windows_0_9_6.exe. On testing this I’ve found new files are successfully downloaded, although changes are not uploaded (I’m not sure if this is what the app is supposed to do or not, I haven’t explored further yet). 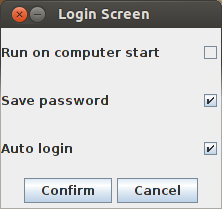 I’ve noticed also that, if you set it to Auto login (you cannot set it to Run on computer start) it will always fail to connect first time and you have to do it manually.